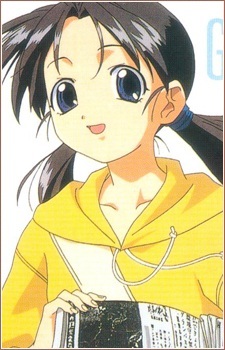 Rio has a bright, cheerful, childlike personality, and although she seems younger than Akari and Hiroyuki, they’re all actually the same age. One of her defining characteristics is that she’s terrified of dogs – even though dogs seem to really like her. Rio has a paper route that includes Hiroyuki’s neighborhood, but she’s actually known him for a while (even though Hiroyuki, as always, doesn’t remember).